I just had to have a bath for you guys, the things I do for you… Hello again! 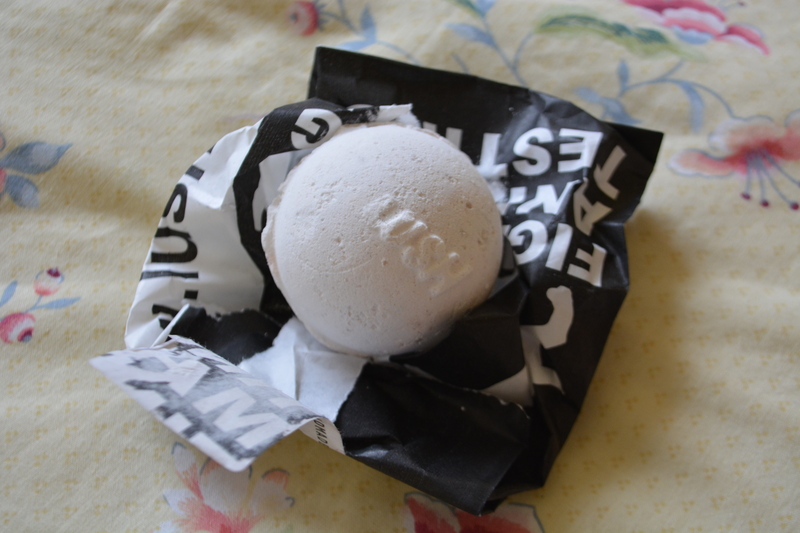 Today I will be doing a little review of the lush Butterball bath bomb. And they are not lying when they say bomb. That’s a pretty big claim but wow, I mean, I obviously expected a nice bath but that was a NICE bath. I didn’t actually read what it says on the website until now, I just knew that it smelt amazing and was £2.50 so obviously I bought it. At the minute I am feeling particularly down and stressed and this is just what I needed, I honestly nearly fell asleep in the bath. It has made my skin feel absolutely amazing and smell like heaven. As it’s fizzing away you can see little brown flecks of cocoa butter rise to the surface and these stick to you as you get in! As I rubbed my legs though they vanished and made my skin super smooth. One thing I would say is don’t try and shave your legs when you use this in your bath…that doesn’t work, which, if I had read the website, I would have known, but I didn’t. The film kinda makes shaving your legs (successfully) impossible. 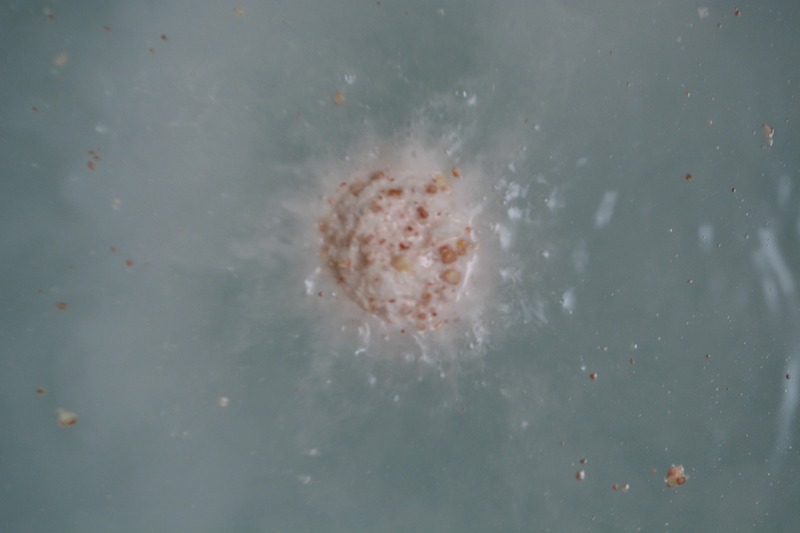 It also looks mega cool as it fizzes, well, explodes- LIKE A BOMB (see what I did there???). It also reminds me of porridge but that’s not the point I’m trying to make. There are only 6 ingredients, 3 of which are natural and the other 3 are safe synthetics. This product is entirely vegan and lush do not test on animals or use products that have been tested on animals- yay! 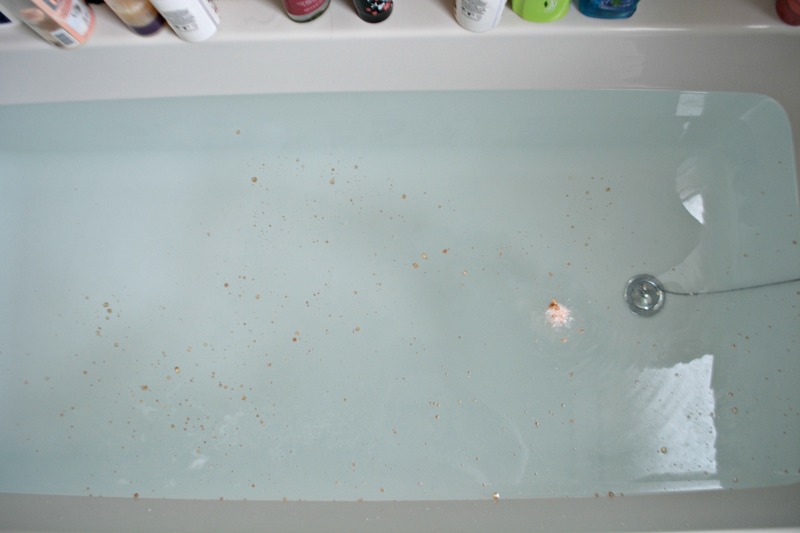 I will probably go and buy heaps more of the Butterball bath bomb because its so so cheap and so so lovely! So I guess that’s all for now, goodbye little buns!